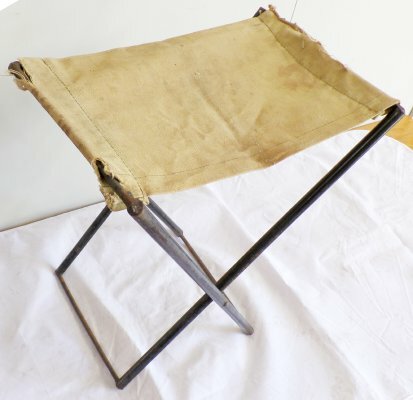 Description A small folding canvas carry seat - war time - Home Guard. Has "C. Wemyss, Blenheim", written underneath on the canvas. This is a World War 1 chair.